This is the latest investment by Nieuport Aviation to enhance the passenger experience in the terminal. Its $50 million terminal upgrade project completed in 2018 created more spacious passenger lounges, added new food, beverage and retail concessions, and a new gate. 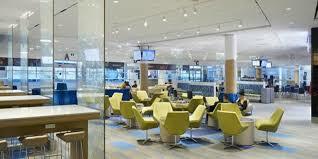 In recent years, Billy Bishop Toronto City Airport has won a series of passenger-driven awards, including being named one of the top airports in North America in both the Airports Council International’s (ACI) Airport Service Quality Awards and Skytrax World Airport Awards. Billy Bishop Airport was also ranked as the fourth Best International Airport by Condé Nast Traveler in 2017.